Follow 202 South until reach the traffic light at the intersection of Route 202 and Church Street (to right) and Voorhees Corner Road (to left). Make a right onto Church Street. At first traffic light (Wawa on right hand corner), make a right onto Route 31 North. Follow Route 31 north approximately 6 miles to the County Park System Office. Follow Route 12 toward Flemington. At first traffic circle go half way around (stay on Route 12), at second traffic circle go three quarters of the way around - to Main Street. Stay on Main Street - and bear to the left before the War Monument. Take the second road on your right, Walter Foran Boulevard.. At the first traffic light make a left onto Route 31 North. Follow Route 31 north approximately 6 miles to the County Park System Office. Follow Route 202 North toward Flemington. At traffic light by the Flemington Cinema Plaza take U-Turn towards South Main Street. (This is located after all of the car dealerships on Route 202). Follow South Main Street to the Main Street traffic circle. Go one half way around the circle - to Main Street. - and bear to the left before the War Monument. Take the second road on your right, Walter Foran Boulevard.. At the first traffic light make a left onto Route 31 North. 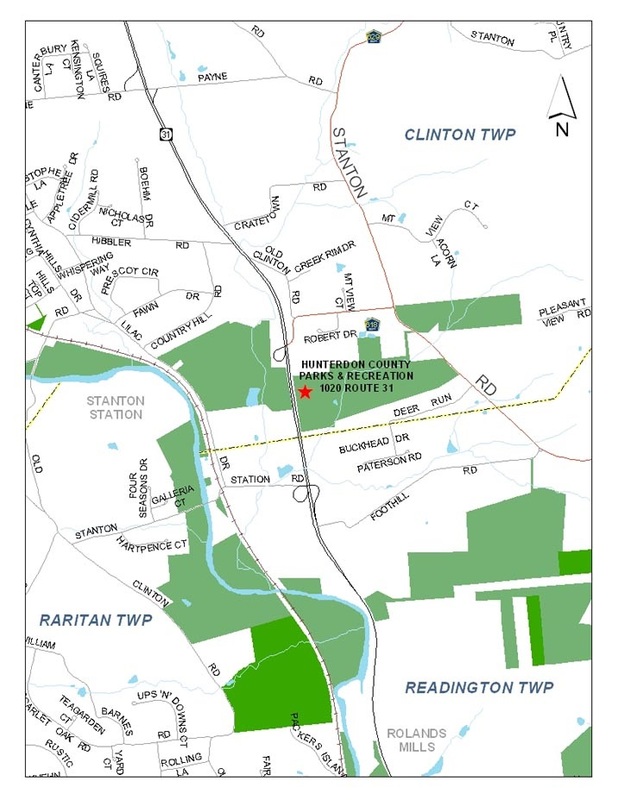 Follow Route 31 north approximately 6 miles to the County Park System Office.